June 01, 2017 (LBO) – India’s Petronet LNG has proposed to supply ‘green’ LNG to Sri Lanka and is awaiting an evaluation of their proposal, Deputy Manager of Petronet LNG Manik Jhamb said during a visit to Colombo. “Investing in it is a win-win for Lankan government, consumers and for us since it is Green LNG and therefore a shift will occur to cleaner LNG in Sri Lanka,” he said. 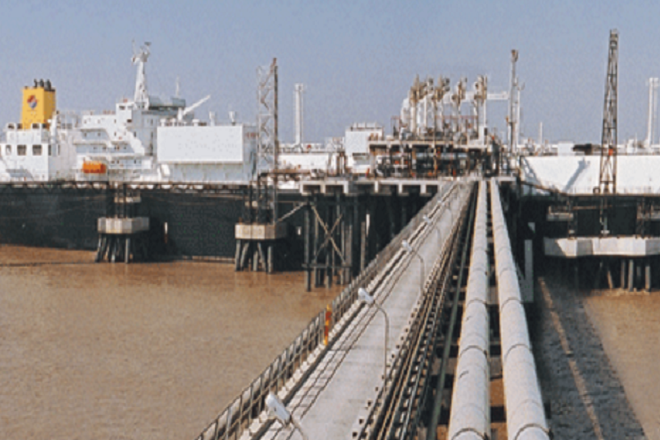 Petronet LNG is a joint venture of the Government of India, to import LNG and set up LNG terminals, and involves India’s oil and natural gas industry players including GAIL (India) Limited, Oil & Natural Gas Corporation Limited (ONGC), Indian Oil Corporation Limited (IOCL) and Bharat Petroleum Corporation Limited (BPCL). He was speaking during meetings of the Confederation of Indian Industry with Minister of Industry and Commerce Rishad Bathiudeen. “Ongoing economic reforms in Sri Lanka have awakened our interest here,” said Ramesh Kumar Mutha, leader of business delegation from Confederation of Indian Industry. Among companies represented were Tata Motors, Mohan Mutha Exports, Petronet LNG, Caldery’s India Refractories, tobacco processing Ankita Overseas Ltd, and water supplies Shubham Aqualink. “Members of my delegation are keen in partnering in energy, LNG Gas, export links, and water supplies here. We are scouting for investments in Sri Lanka in these sectors. For example, Petronet LNG Ltd, India’s largest importer of liquefied natural gas, has called for a large scale project in Sri Lanka,” Mutha said.